We have a serious problem with our entertainment. We think we own it. We think we own the stories, the characters, the actors. We think it’s ours to dictate and control. If it isn’t the way we want it to be, we get vicious. Entertainment is a gift to us, created and conceived for our enjoyment by someone else. We don’t know or own that someone else. It’s the Internet. It’s Twitter. It’s message boards. You can say whatever lame-brained thing you want and send it out into the world. It’s so easy, even I can do it. 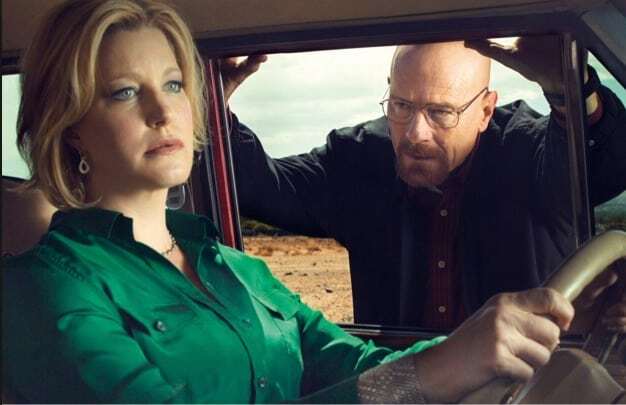 Actress Anna Gunn from Breaking Bad wrote this op-ed piece: Breaking Bad star Anna Gunn: I have a character issue. She made several good points in her post, including this one. At some point on the message boards, the character of Skyler seemed to drop out of the conversation, and people transferred their negative feelings directly to me. The already harsh online comments became outright personal attacks. One such post read: “Could somebody tell me where I can find Anna Gunn so I can kill her?” Besides being frightened (and taking steps to ensure my safety), I was also astonished: how had disliking a character spiraled into homicidal rage at the actress playing her? I surfed around among many lesbian writers, sampling what they had to say about The L Word. I was surprised when I discovered a plethora of complaints, vilifications, and shaming. Nobody liked Ilene Chaiken. Nobody was satisfied with the plot. The characters were all too pretty. It wasn’t realistic. Everyone was mad because Dana died. Everyone hated Jenny. And on, an on, and on. On the blog Dorothy Surrenders the other day, I saw On Faith and Fandom. She was talking about the attacks on two actresses because of their personal beliefs. Which leads me to the recent heated fandom debates – to put it very mildly; you should see the email folder I’ve made for all the messages – over Rachel Skarsten of “Lost Girl” and most recently Laura Prepon of “Orange Is the New Black.” Both have been tied to churches that are reportedly anti-gay. Fans argued that it was okay to hate a character and the person who plays her because of a religious belief. Even though before they knew this one personal thing about the person, they loved the character and the actor playing her. Nothing about the show or the character changed. Love a show? Then watch it. Is there some show you love? Breaking Bad or Orange is the New Black , perhaps. Yea! Then watch it for your entertainment pleasure. It’s a gift to you from a network and a creator and a producer and a huge crew and a lot of actors who work for months to bring you said entertainment. If the show you love has a message or a larger cultural meaning about good and evil or visibility for LGBT people or some other topic dear to your heart, good for it! You can support the show on that basis. If the show you love has a character you like or don’t like (because every drama has to have a protagonists AND an antagonist or nothing dramatic happens) then good for the show’s creators for giving you characters that make you care. The thing is, it’s fiction. It’s story. It’s made up. The actors are not the characters. And neither the actors or the characters belong to you. You don’t get to judge entertainment based on the actor’s personal lives. You don’t get to hate them when the characters they play don’t do exactly what you want. Just because you feel invested in a story or character, it’s still mass entertainment and not your personal possession. People who tweet seeking advice on how to be a writer = awesome. People who tweet GIVING advice on how I can write stuff they want = crazy. Look at the work. A lot of people did a lot of work to tell you a story. Watch it with pleasure or don’t watch it at all. But don’t threaten to harm the people telling you the stories.